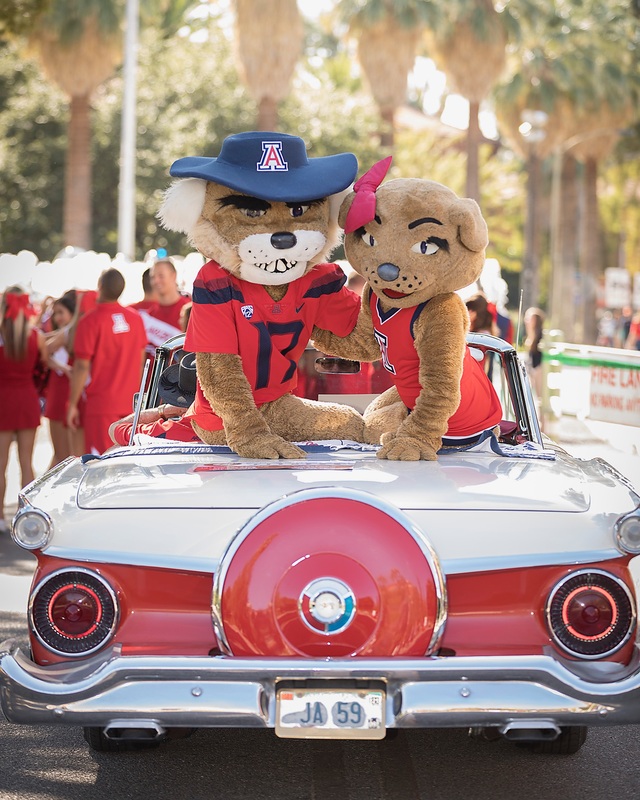 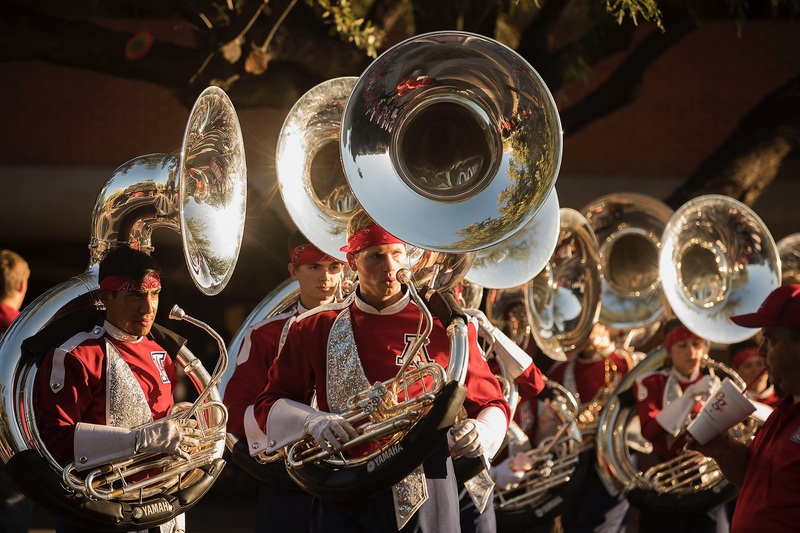 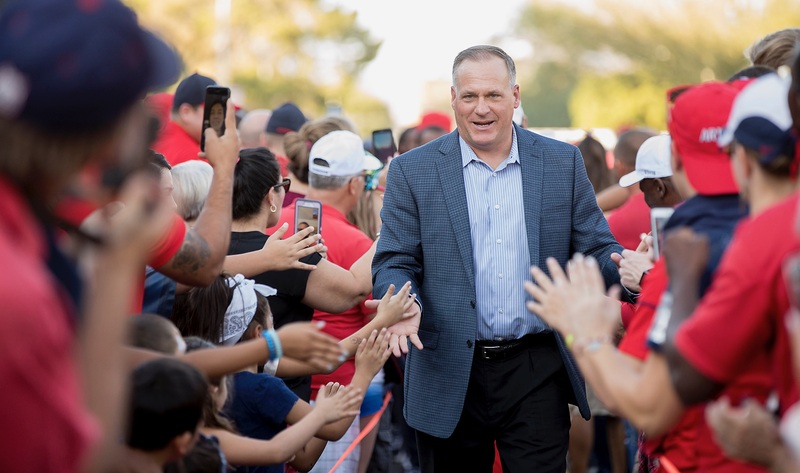 Homecoming 2017 at the University of Arizona had it all: spectacular fall weather, a blazing bonfire, Wilbur and Wilma Wildcat, new UA President Robert C. Robbins as the parade's grand marshal ... and even a 58-37 upset victory by the Wildcats over Washington State that catapulted them into the Top 25 college football rankings. 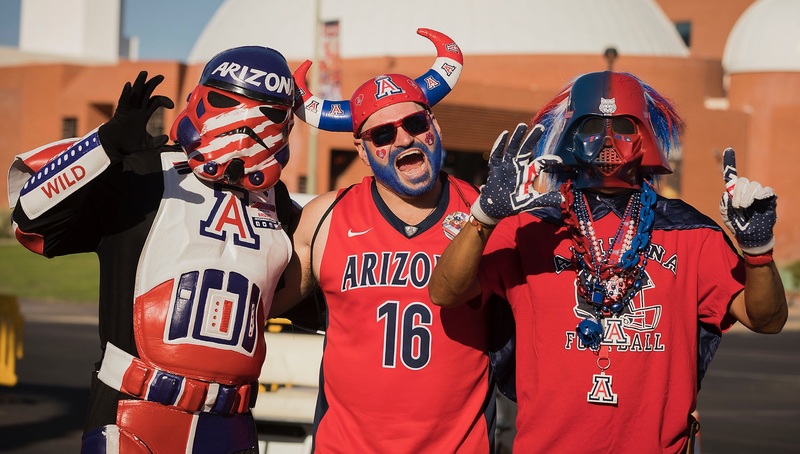 Behind quarterback Khalil Tate, who has emerged as a national sensation, Arizona went 4-0 in October to raise its record to 6-2 ahead of next Saturday's Pac-12 South showdown at USC. 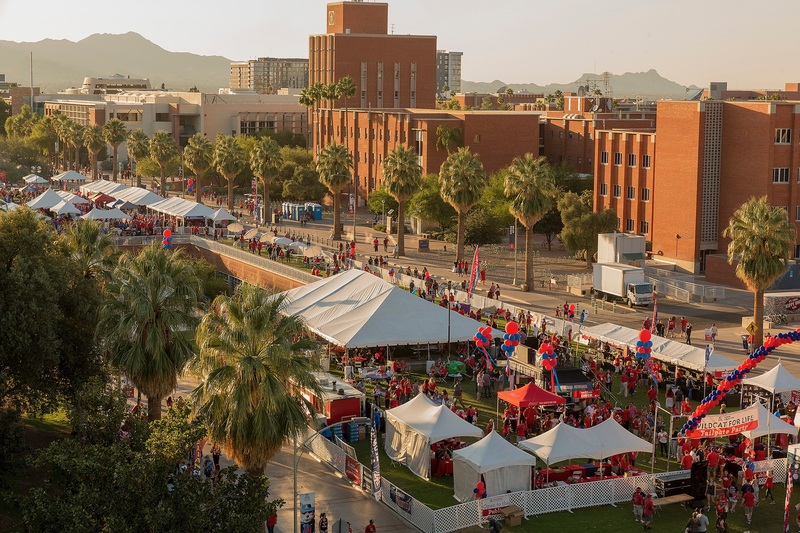 Tate, a sophomore from Inglewood, California, has been the Pac-12's Offensive Player of the Week for four successive weeks, running for 840 yards and passing for 743 in that span. 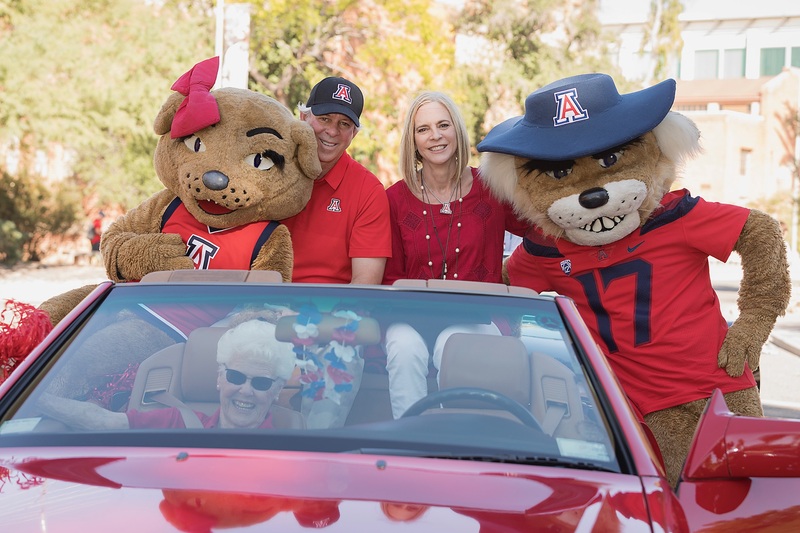 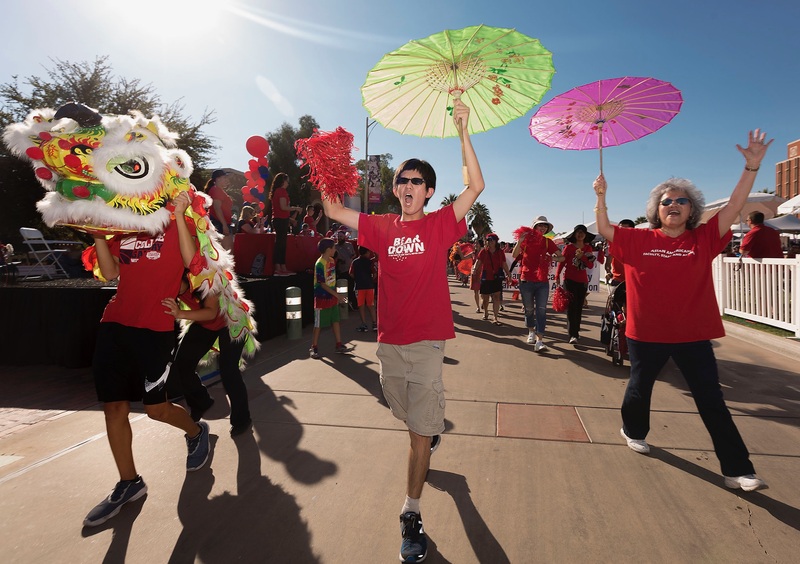 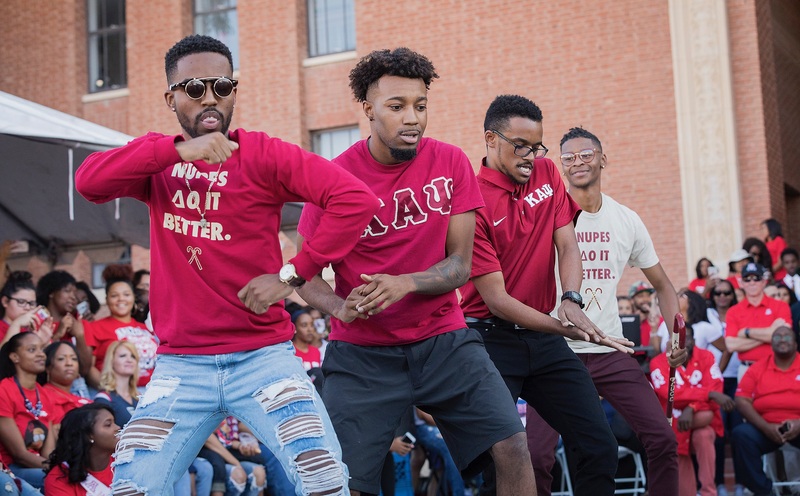 Above are some of the best takeaways from Homecoming weekend, including a bonfire image by Bob Demers of UANews and photos by Chris Richards of the UA Alumni Association.